A while ago I received a message from one of the editors of Stringing Magazine asking me for my fox pendant. She was searching for unique Woodland beads and found me on Etsy. 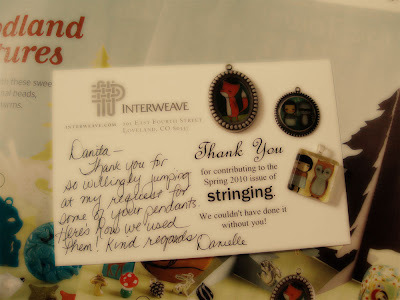 Yesterday, I received a copy of the magazine and a sweet note! 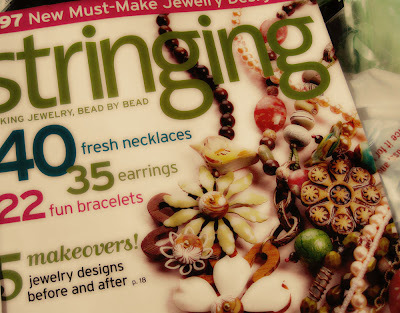 They were published in the Beads to Buy section! 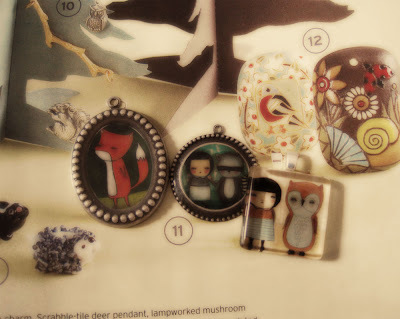 Even if I don't normally sell just the pendants, I'm going to make an exception for the 3 designs showed in the magazine. I'd love to see what you do with them! These are beautiful. Just popped on to say what a huge fan of your stuff I am having only discovered it recently. I am pretty new to crafty and trying out various things - I have attempted one of your faces, but it's many miles away from being as good as the originals. Still, it was FUN FUN FUN!